We went to the store and bought some different candies to use. My oldest child had been saving all his candy from school and other places for this event also. 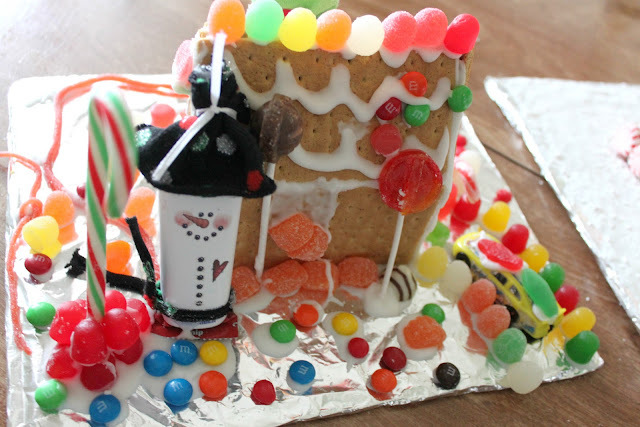 My kids were so excited last week when I told them "Yes" to getting to make a gingerbread house. Don't you love it when you can say "Yes" to their requests. My sister had the idea to put them into Muffin tins for easy access for everyone. I used my large muffin tin. Mix together powdered sugar and just a little water to make a good thick frosting. Then put the frosting into ziploc bags and cut a tiny hole off one of the bottom corners. I wish I had exact measurements,but we just eye balled it all. This frosting dries pretty quickly. Building the Gingerbread House: Get your graham crackers out. Get a knife and cutting board. To make the sides of our houses you take 2 full graham crackers. 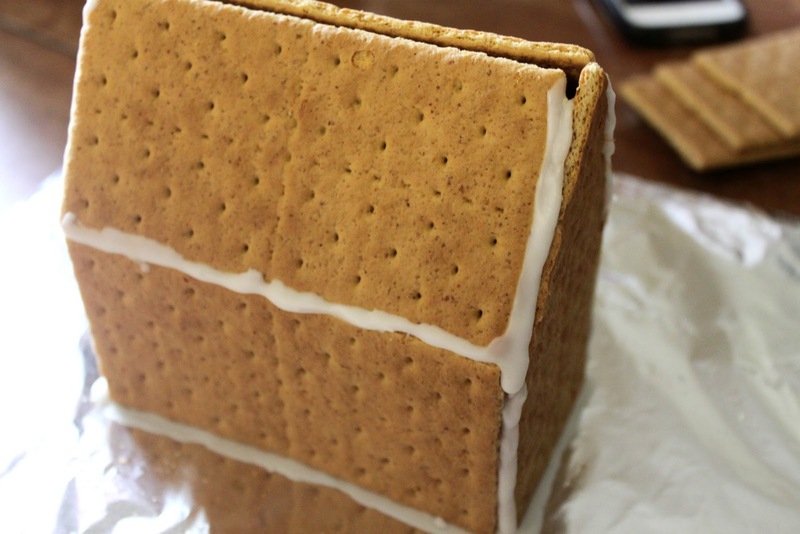 To make the sides of the house cut two triangles out of the top half of the graham crackers. You can kind of see it on the side there. Hopefully, you get the idea. You could cut things how ever you like. When done glue all your pieces together. 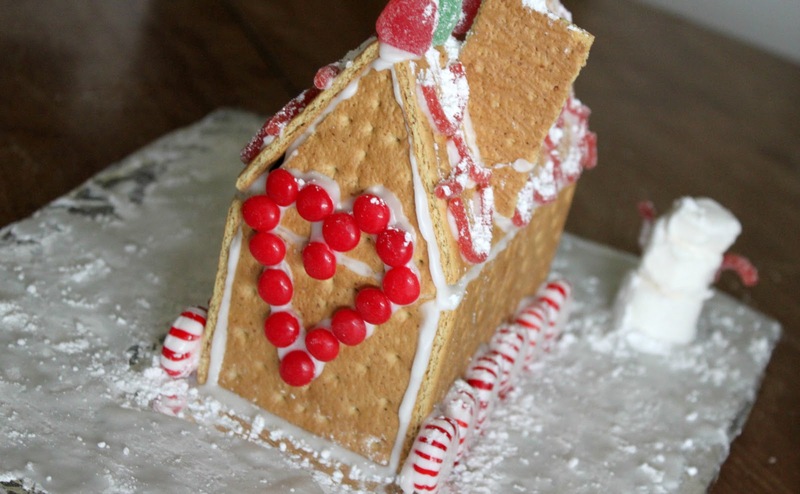 You can really build any shape or size gingerbread house you want. We went for small ones. One for my sister and I and one for the kids. Here is how the kids house turned out. They wanted to see how much candy they could get on it. They had a blast doing it together. My sisters house. I was suppose to do it with her, but really I ended up needing to help "glue" (with frosting of course) all my kids candy and things down on their house. Merry Christmas my friends! I Hope you are having a wonderful holiday season. SO CUTE! I love how they turned out. And I love taht we both got to make gingerbread houses with Paige! We're so lucky!! Oh, that is such a great idea to use graham crackers! How fun! Super cute! I bet your kids were thrilled to make the Gingerbread house with you. 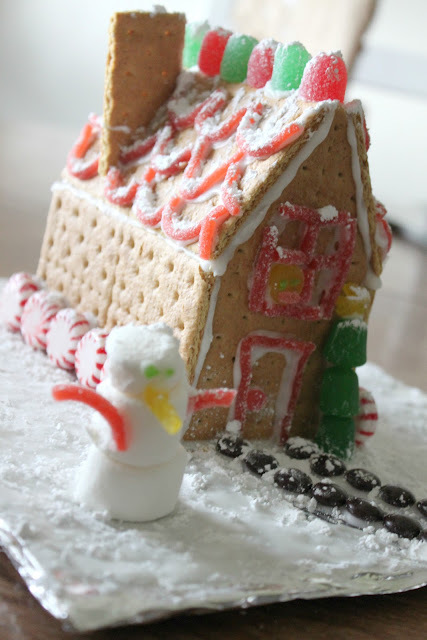 What a great idea to make your own Gingerbread house from scratch! Last year we bought a kit from the store and were very disappointed with the outcome as the house wouldn't stay together and kept falling apart. 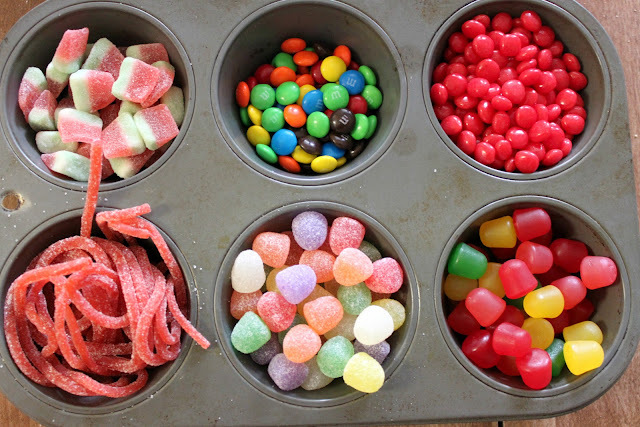 Love the muffin pan organizer and your easy to follow instructions!